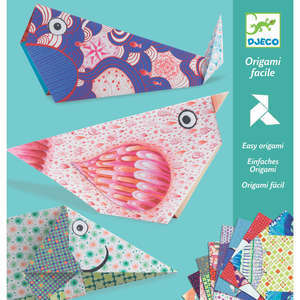 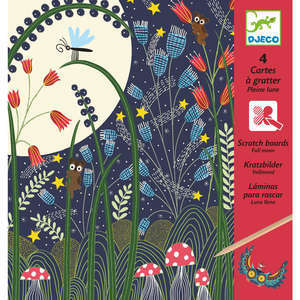 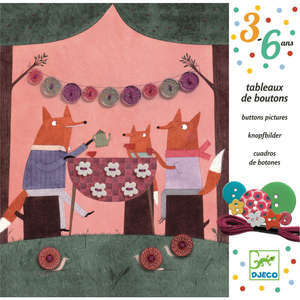 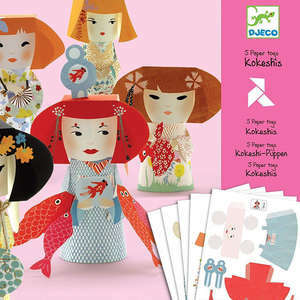 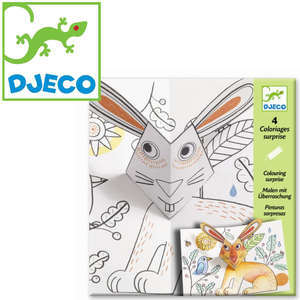 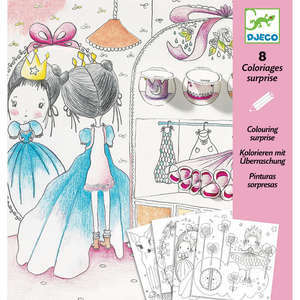 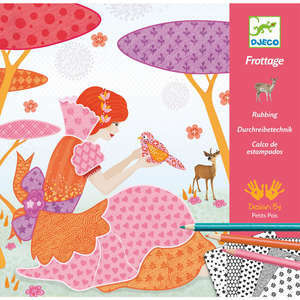 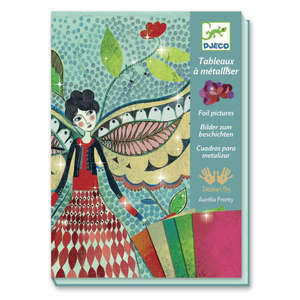 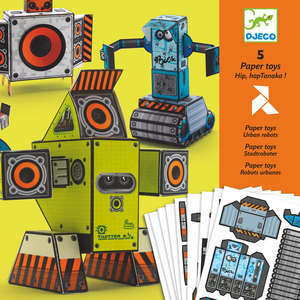 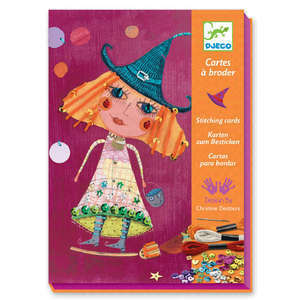 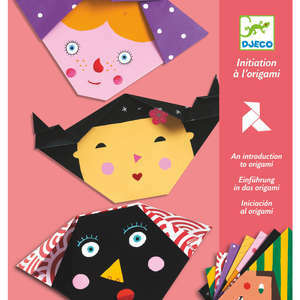 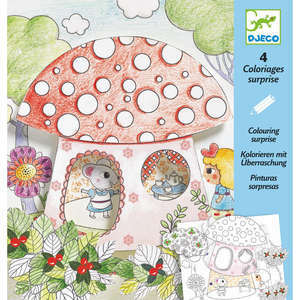 Make 20 origami planes with this fun craft kit from Djeco. 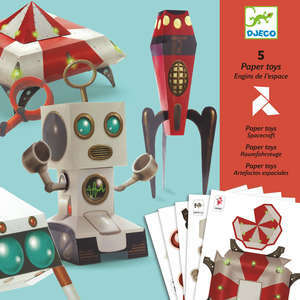 Follow the step by step instructions to fold the pre-printed papers, and don't forget to add a pilot! 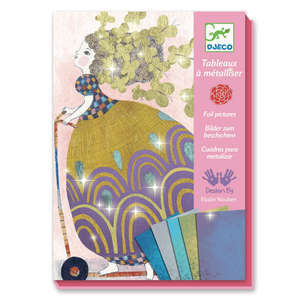 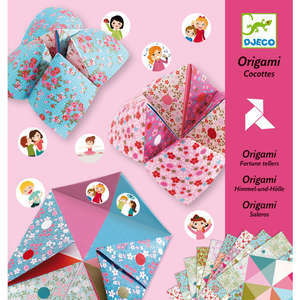 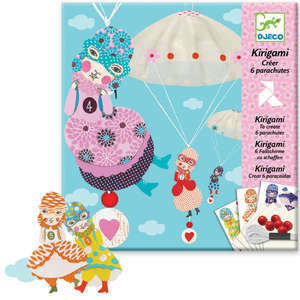 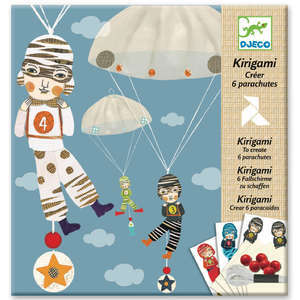 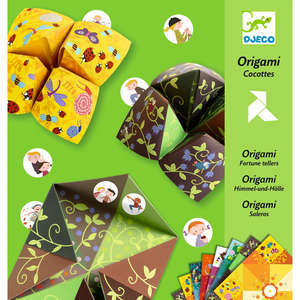 This fun origami kit contains 4 each of 5 colourful designs, plus 20 pilots. 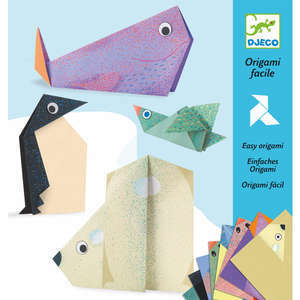 Make high performance paper aircraft complete with funny looking passengers. 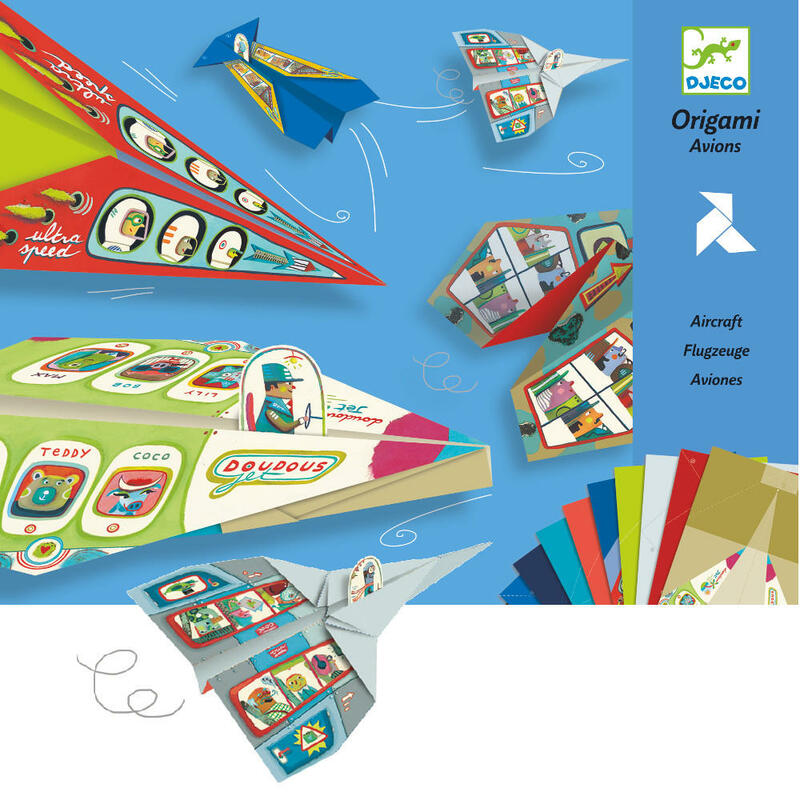 Children and adults will enjoy making and racing the paper planes to see whose will fly the highest and furthest.